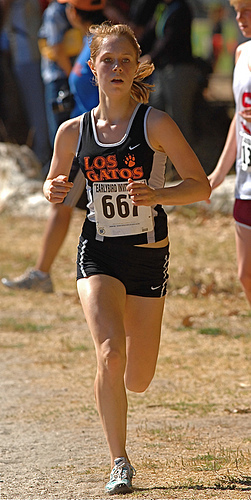 Former Pioneer HS runner steps down as Santa Cruz Head Women's Cross Country Coach. 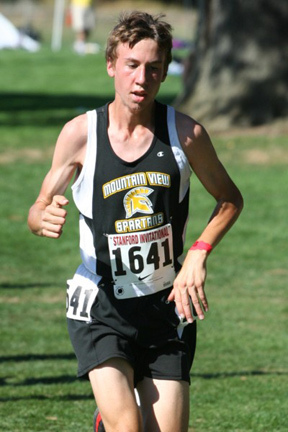 Evan Smith will return as cross country coach at Mountain View. Smith abdicated his position as head track and field coach last spring with Steve Kemp taking over. "I'd like to help coach track and field in the spring," Smith said. "The ideal thing for me would be to have Steve (Kemp) be the head coach, then I would help out." The Spartans won the state Div. 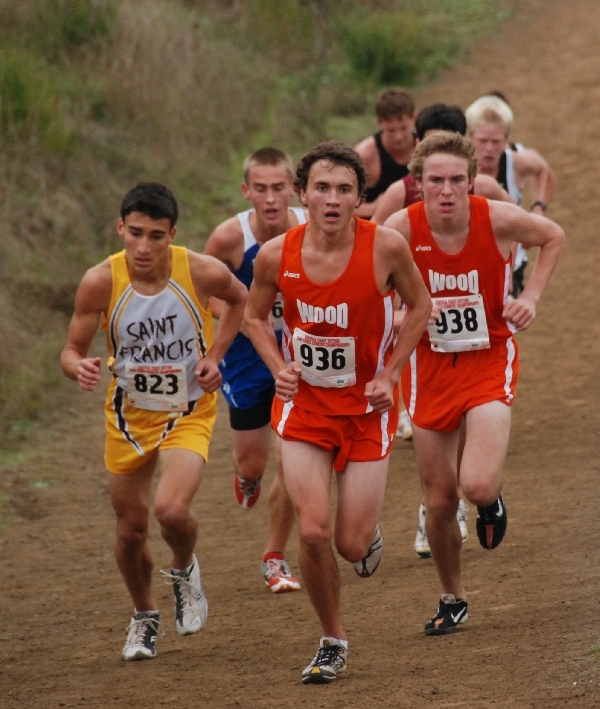 II boys cross country championship in 2009. "That was a great senior class," Smith said. "They'll be hard to replace." First day of practice for Smith's cross country troops is Aug. 13. 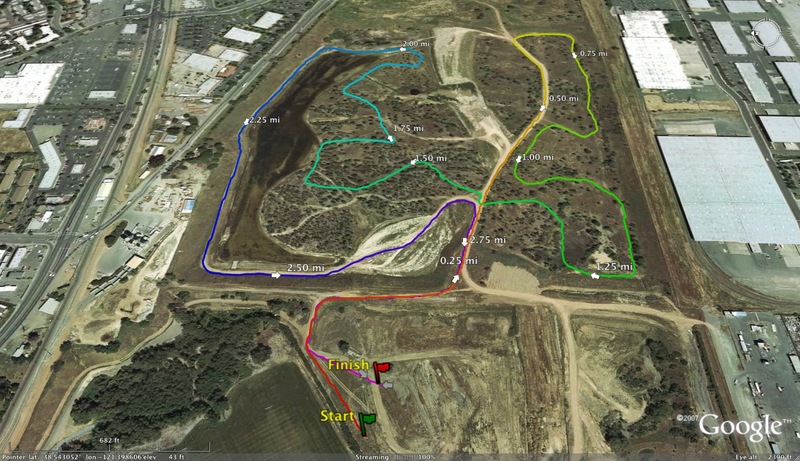 The Spartans will participate in the Early Bird Invitational at North Monterey County High on Sept. 11. 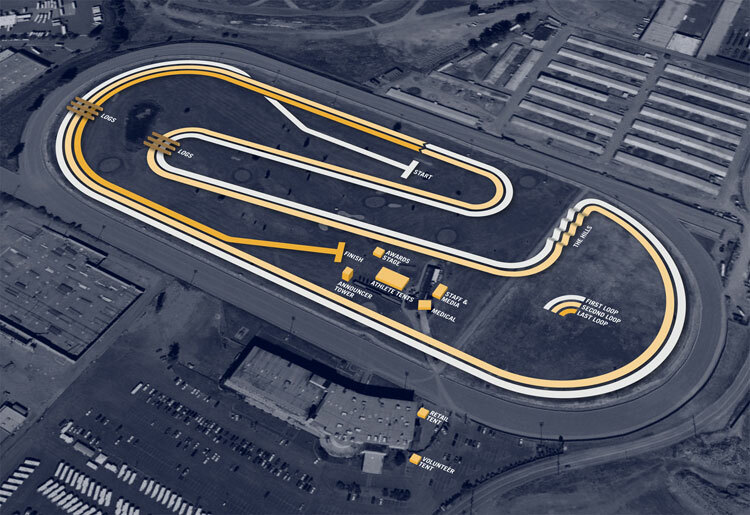 If you find any articles that are pertinent to cross country and/or track and field in Northern California, please feel free to forward me the link at albertjcaruana@gmail.com. For someone who was always ahead of the pack in Indiana prep cross country and distance running during the 1970s, standing still has never been an option for Brad Rowe. A two-time state cross country champion and two-time state two-mile champ, Rowe retired six years ago from Pumatech, but the Los Altos, Calif., resident realized he still had an unquenchable thirst for start-up companies. "Being in Silicon Valley, even in bad times, things are happening out here," Rowe said. "I wanted to get involved in something new." That was Scratch.fm, and he is the chairman of the company, which he said puts radio stations on the Internet, but to a much deeper extent. "What we allow you to do is broadcast your own station, sort of like a podcast on a bigger scale," Rowe said. "People can listen to you in Finland or you can invite people, your friends only, to listen -- sort of like Facebook. " Brig Badger, Chris Gaertner and Matt Walter spent the past few years knocking heads on opposing football teams at Menlo School and Sacred Heart Prep. When Stanford opens fall football practice in less than two weeks, the three will be teammates for the first time. That was assured when 14 players were added to the training camp roster this week, giving Stanford its full complement of 105 players. "This year for the first time, our roster at the start of training camp will be full at 105 men," said head coach Jim Harbaugh. "I am very excited for this year's freshman class because of the depth and quality, including these 14 post-Signing Day additions. They may not be as publicized, but they have come from near and far to fill a variety of positions and great needs. The most glaring attribute of this class is the quality and potential of contributors and future starters." Badger (5-11. 190), a safety for Menlo coach Mark Newton, made 92 tackles and caught passes for 140 yards last season as a safety, linebacker and receiver while helping the Knights reach the Central Coast Section Division IV championship game. Gaertner and Walter both played for coach Pete Lavorato, helping the Gators advance to the CCS Small School Division semifinals last season. Gaertner (6-0, 185), now a safety, was a first-team all-league pick who compiled a school single-season record of 2,128 all-purpose yards as a tailback and added a school-record 14 career interceptions as a defensive back. He ran for 13 touchdowns as a senior, averaging 7.1 yards per carry on the ground. In the spring, Gaertner competed in track and field and set a school record in the long jump at 20 feet, 6 inches. He helped his team win the West Bay Athletic League title this season, the school's first in the sport. Today we chat with Castro Valley HS senior, Ben Eversole. He won the NCS Division I cross country title last year leading his team to a hard fought 2nd place finish behind the winning San Ramon Valley team. He recorded the 9th fastest time overall and is the 4th fastest NCS runner returning this year in any division on the Hayward course(15:30). Eversole continued to impress during his junior season by qualifying for the state track and field meet in the 3200m finishing in the final qualifying spot, 4th place (9:23.89). I am sure that was quite satisfying following his narrow miss the year before in the 1600m when he ran 4:20.45 as a sophomore. He mentions that below so without further ado, Ben Eversole. 1) How did you get your start in running (xc and track and field)? 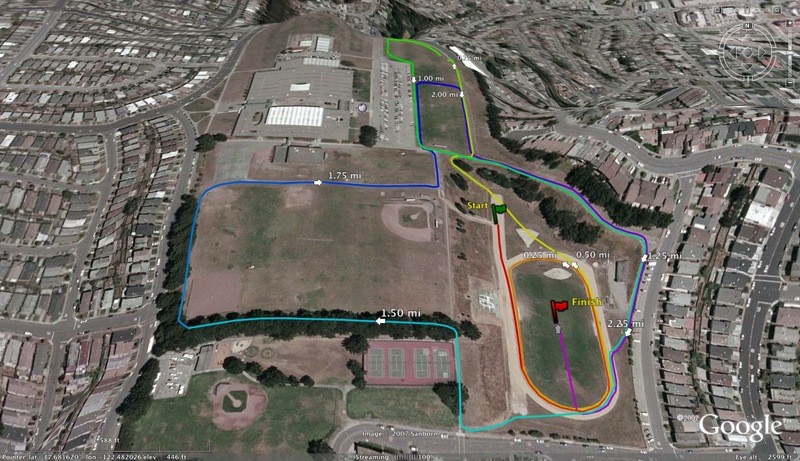 I started doing track in fourth grade for my elementary school, but I didn't take it seriously until seventh grade when I joined the Castro Valley Track Club, which started me on the path to where I am now. 2) What other sports have you participated in before or during high school? I grew up a soccer player and played on the JV team my first two years of high school. I played football in eighth grade. 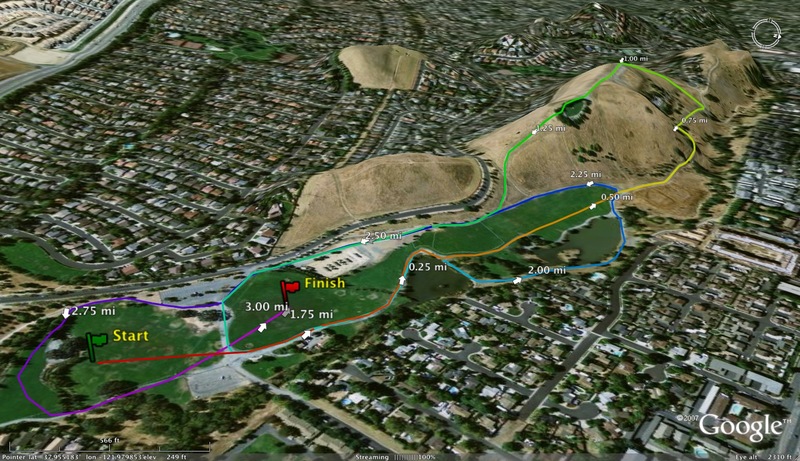 The Castro Valley Track Club, however, motivated me to focus on running. I still ride my bike or rock climb on weekends though. 3) When did you first realize that xc and track are the sports for you? In eighth grade I started to take running really seriously and saw my times drop. After running a 4:38 1500 at the end of the school year I knew I had found my sport. 4) As a young runner, what runners did you consider to be your mentors (at CV and other schools)? In middle school I always wanted to be as good as Anthony Martore because he was a lot faster than me. Freshman year I looked up to the seniors James Fazzio and Jack Leng and just tried to keep up with them in every workout. Anthony, James, and Jack really helped me a lot along with my coaches Jim Phillips, Peter Brewer, Michael Spencer, and Alex and Dino Cardiasmenos. 5) What race efforts stand out for you during your freshman and sophomore seasons (xc and track)? 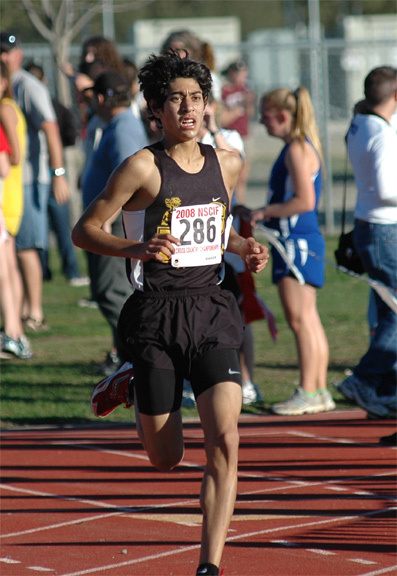 My freshman year I'll never forget the Monte Vista Invitational. I hadn't done much summer running but my coach told me I had a shot at the top 10. I won the race and couldn't believe it. My sophomore year my highlight/biggest disappointment was NCS MOC in the 1600. My legs gave out in the closing steps and I lost to Dan Milechman by .09 seconds. It was a 3 second PR but I was so close to state! 6) What were some of your highlights during your junior season in xc? Junior year cross country my highlight was winning NCS. I don't think I would have won if Alex Summers had stayed healthy, but it still meant a lot to win in a big race like that. 7) You qualified for the state meet in the 3200 this past track season? What led to the decision of focusing on the 3200 at the NCS MOC? n the middle of the track season I hurt myself lead climbing and when I came back I didn't have any leg speed but I still had endurance so I focused on the 3200. 8) What does a typical training week look like for you? How many miles a week? Last year I did 45-50 miles a week. 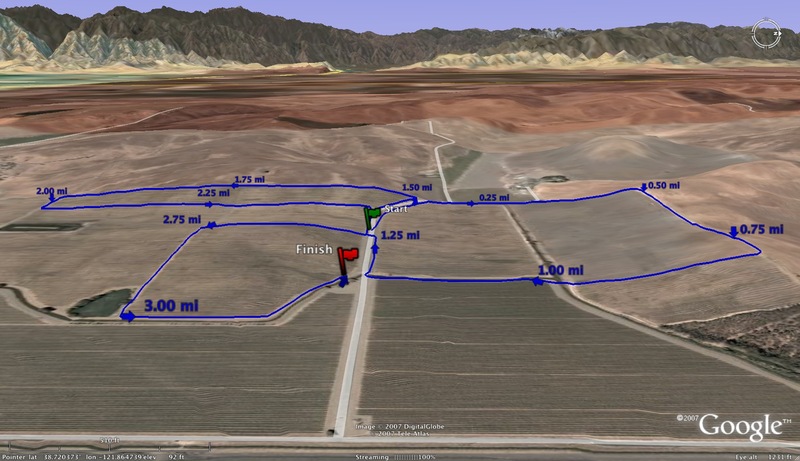 8-9 mile long run monday, track work tuesday (ex: wu, 8 strides, 1000-600-1000-600-1000 w/ 400 jog between ea., cool down), medium 5-8 mile run wed, track work thursday (ex: warm up, 8 strides, 5x500, put on spikes, 3x300, cool down), easy run friday of 3-7 miles friday, race saturday, and then easy 3-4 miles sunday. 9) What are some of your favorite and/or toughest workouts? My favorite workout is doing 4 mile tempo runs. They are really tough, but give me confidence. The toughest workouts are the ones when we do longer intervals like 800's or 1000's. 10) Favorites: xc race? 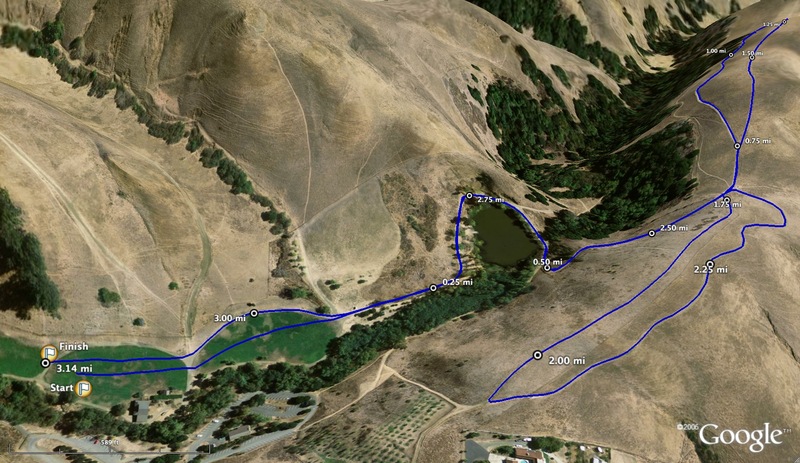 xc course? 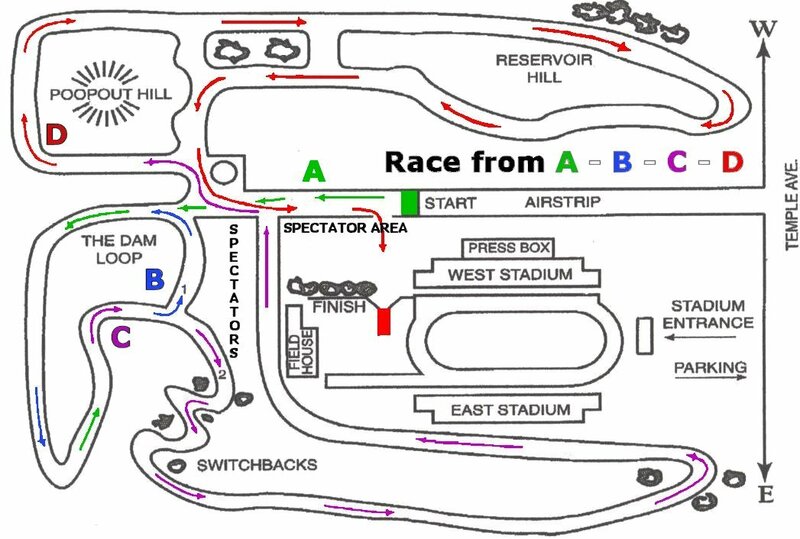 Track race distance? Track meet? Competitor(s)? 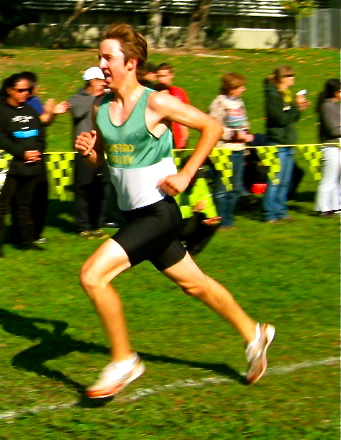 Favorite xc race: State meet because of all the excitement. 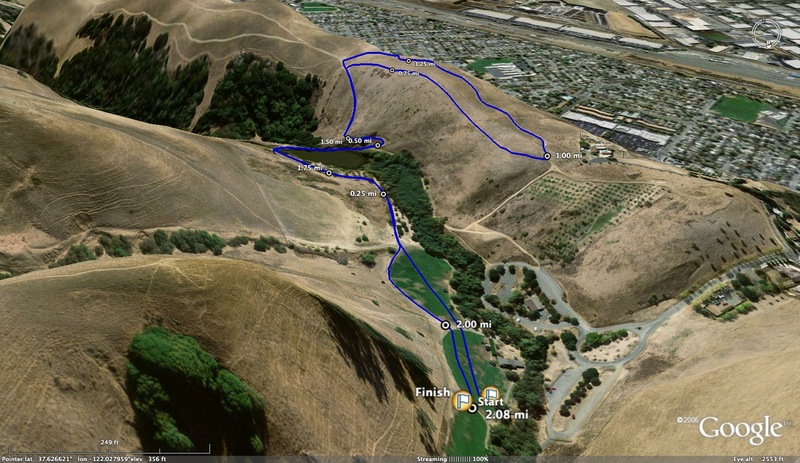 Favorite xc course: Our home course at Castro Valley Invitational because I know it like the back of my hand and can fly on the curvy downhills. Track distance: 3200. I get time to settle into a pace. Track meet: NCS MOC because the great crowd and I love UC Berkeley. Competitors: Reesey Byers because he's such a great guy. 11) A freshman is undecided about running xc. What would you tell them to convince them to join the team? -there's no bench, everyone gets to compete. -other sports expect you to already be good, xc coaches will make you good. -the hard work you put in will give tangible results through your times. I'd like to thank my loving parents, teammates, and coaches. Good luck to everyone with their running but watch out for me this next cross country season. Thank you very much for your time Ben! AJC. Very cool link highlighting athletes from the East Bay during this past school year. You will have to click the pictures to find the cross country and track and field athletes. Like many girls her age, 11-year-old Jada Newkirk likes to hang out with friends, surf the Web and play games. That’s where all the similarities end. The lifelong San Mateo resident is mature beyond her years. A soon-to-be sixth grader at Katherine Delmar Burke School in San Francisco, Newkirk lives her life with such a precociousness it’s hard to believe she only turned 11 on June 9. Wednesday, Newkirk will be in Sacramento competing in the USA Track and Field National Junior Olympic Championships. Newkirk will compete in the pentathlon — events include the 80-meter hurdles, 800-meter run, shot put, high jump and long jump — in the girls’ midget division (athletes born in 1998-99). Newkirk can hardly wait. Indeed, the amazing part of Newkirk qualifying for the Junior Olympics is she only recently started training in January with Team Onalysis, a club track team based in San Francisco. But like most things she’s undertaken in her life, Newkirk excelled from the get-go. While her favorite and probably best event is the 100 — Newkirk’s best time in the 100 is 13.8 seconds — she’ll be doing the pentathlon to take advantage of her variety of skills. “My coach (Otis Campbell) said I was good enough to do the pentathlon, so he put me in it,” said Newkirk, who qualified for the Junior Olympics after finishing third in the pentathlon at a meet in Modesto last month. Newkirk’s PRs (personal records) in each of the events in the pentathlon include 15 seconds in the 80 hurdles, 3:03 in the 800, a throw of 20 feet, 6 inches in the shot put, 4-2 in the high jump and 14 1 3/4 in the long jump. Newkirk would love nothing more than to set personal bests in all of her events — “Getting PRs when you don’t expect it is unbelievable,” she said — but Newkirk won’t be disappointed if she doesn’t get a PR, knowing she’s still a relative novice to the track and field arena. Who is missing from the above lists? Anybody needs to move up? Any fast incoming freshmen? 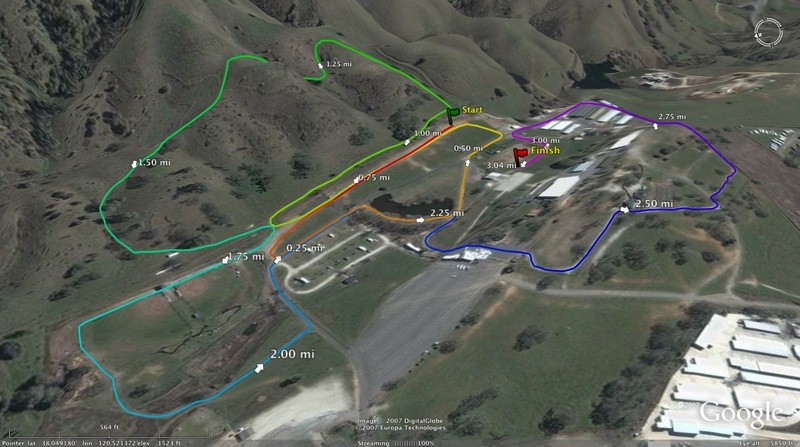 Please give your choices for top teams in Northern California (boys and girls). Once I get enough feedback from everybody, I will post the pre-season Northern California list. For $60 you get to hear from Rene Paragus (Saugus HS coach), Luis Quintana (Arizona St. coach), and an appearance by Tim O’Rourke and Ken Reeves! A great day with outstanding coaches. For those of you that missed watching Jamie Oliver's Food Revolution, here is a clip from his show about how chicken nuggets are made. You should know what you are eating. Food is your fuel during your races. Make sure you are putting in the right fuel in your body. There are much better choices than fast food. You can check out other episodes on youtube.com. Just do a search for Jamie Oliver's Food Revolution. * Pick one from each of the following categories every meal: 4-6 times a day...avoid category #5. * Always pick foods that are higher in nutrients rather than filling...for example in #2, pick foods that are "whole wheat" instead of processed. Avoid foods that are high in sugar and fat. * Drink water and milk instead of drinks like Gatorade and juice. CATEGORY 1: Proteins: Needed by the body for building and repair of tissue, blood, structural components. Serving size: approx. 4 oz. Avoid high fat proteins. Lean meat, yogurt, eggs, tuna, turkey, cheese, beef, chicken, fish, shrimp, pork, tofu, almonds, nuts, beans, peanut butter, cottage cheese, supplement, milk, soy. CATEGORY 2: Complex Carbohydrate: Needed for fuel: Serving size: palm of hand or 1/2 cup to 1 cup. Avoid simple sugars and highly processed carbohydrates. Whole wheat bagel, bran muffin, oat meal, grits, whole wheat grain bread, brown rice, potato, pasta, whole wheat pasta, cream of wheat, wheat tortilla, barley, unprocessed cereal, Cheerios, Wheaties, Total, Grape Nuts, All Bran, corn tortilla, crackers. CATEGORY 3: Fiber: Needed for vitamin and minerals and chemistry control. Serving size: palm of hand. Check Glycemic index for high sugar fruits. Any fruit, any veggie, banana, orange, apple, pear, kiwi, peach, plum, melons, cantelope, berries, tangerine, nectarine, grapefruit, mango, tomatoes, lettuce, broccoli, cauliflower, peppers, onions, spinach, carrot, radish, cucumber, zucchini, celery, peas, squash, green beans, mushroom, sprouts. CATEGORY 4: Liquid: Needed for hydration, body flush, body chemistry. Serving size 8-20oz. and up to 100oz. a day. Avoid high sugar drinks. Water is the best choice of all. CATEGORY 5: Foods to avoid: These foods are either high in fat, high in sugar, negatively effect body chemistry, or low in nutrients and serve as poor food choices. Processed foods, fried foods, heavy cheese, alcohol, chips bacon, sausage, beer, pies, cake, dessert sweets, candy. #1 Early morning breakfast: Yogurt or 2 eggs, oat meal or cereal, fruit, water or milk. #2 Mid morning: Peanut butter and jelly or meat sandwich, banana, water. #3 Noon: Meat sandwich or rice bowl, orange or veggies, water or milk. #5 Dinner: steak or chicken, potato, salad, water or milk. #6 Snack: Yogurt, peach, water. - Eat many small meals a day. - Drink water as often as possible...100oz. a day. - Pre-plan meals for next day...use leftovers...MOST IMPORTANT. - Pack your meals with you...THIS IS HUGE. - Never skip meals, and never eat huge meals. - Avoid sugars, beer, fried foods and "fast foods". - Also: eat basic foods, to combat PH changes (veggies, lean meats) avoid foods with acids, sauces, sweets, sodas, processed, (other: stress, water, sleep). - Take a multi-vitamin every day (put it by your tooth paste). - Avoid supplements that have ephedrine or fat burners. - Consume a Protein supplement-chocolate milk works as well (right after practice). The Press Democrat has run the All-Empire Track for 2010. I will post more local College announcements as I get them. Feel free to send me their link if you like. The following list was compiled by Valley Christian SJ coach Josh Small. Feel free to comment on the list below. Who are the teams on the bubble? What teams belong on the list? Please identify yourself with your comments. 20) St. Francis (22) Has a solid top 3 but needs the supporting cast to step up. Another strong program with good coaching and a high turn-out. My guess is they will find a few runners to fill the gaps and be a top 15 contender. 19) Woodside (12) Top two runners are studs running 4:16 and 4:27 in the 1600 this past track season. The rest of the team is solid 17:30-18 guys. If the 3, 4, 5 guys improve 30 seconds for the 3 miles this year they could be very, very good! 18) Los Gatos (17) Another team with lots of tradition. A huge number come out for cross country every year at this school which means you can never count them out. The Wildcats have a very good #1 runner but is going to need a lot of help. My guess they will be top 10 at the end of the year. 17) Monta Vista (11) Kevin Bishop had a great track season but he can’t carry the team by himself and is going to need some help from the team's 3, 4 & 5 guys. 16) Salinas (6) Lost their star power to graduation so who will step up? 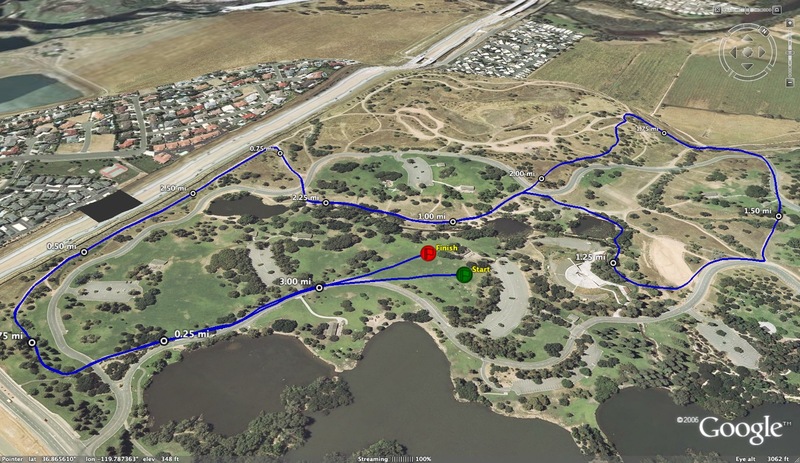 They have a solid group returning and they always run well at their "home" course at Toro Park. 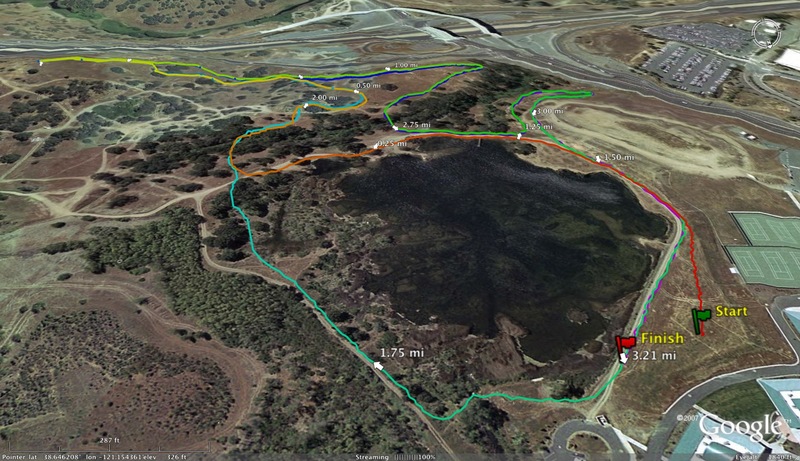 15) Gilroy (19) 7 guys return who have run under 17:30 at Toro Park. Need the big guns to get low or sub 16’s to move up but a very strong team that is grouped together well. 14) Los Altos (14) Good team that is very solid from top to bottom. Needs those top guys to really step up if they want to gain ground on the schools in the top 10. 13) Stevenson (13) Another quiet team that is once again very good. They surprised everyone a year ago with their 13th ranking a year ago. There are a good team but out of sight down there at Pebble Beach. Well they are on the radar now and should be very good once again! 11) Aragon (NR) Slowly building up a good team. They could make some noise this season. Are they the darkhorse of 2010? 10) Alisal (21) 6 of the top 7 return and should do well on the Salinas home turf. 9) Menlo Atherton (15) Solid team, could do some damage this season. 8) San Benito (16) Big school, big time runners. All scoring members should be in the 16’s but needs someone to step up to the next level. 7) Serra (8) This team was off the radar for most people last year but not me. They ran really well at CCS and will have a very solid 5 runners this season. 6) Carmel (26) Solid on Toro Park last year and they are all back. Watch out! 5) Willow Glen (20) This is a good team and a solid group returns. McCabe need to stay healthy and finish a season to contend for the D3 title. 4) St. Ignatius (5) Besides Bellarmine this is the only team I’ve seen that needs 3-4 busses to go to a meet. Coach Pup takes the reins of a very solid SI team that could be #2 or #3. 3) Carlmont (2) The word on the street is Carlmont is full strength and everyone will be back to run for Coach Randazzo. If true could give Bellarmine a run for their money. Some good summer performances at JO’s shows they are going to make a run for it this year. 2) Mountain View (1) Graduates 4 of their top 6, can the machine replenish? They have the top returning individual this year which certainly helps! I always hate those polls that drop the defending champion before the season even starts which is why I am not willing to drop the Kings of Cross outside of #2. These guys know how to win. They have their work cut out for them, but so does anyone who wants to beat them. 1) Bellarmine (3) This is Bellarmine’s year. They return four proven cross country guys who all went sub 10 guys on the track this spring. They could easily have 5 guys in the 15’s at Crystal and have a history of being tough on the Toro course. Rae leads the team and will be one of the top individuals this season. These guys are tough! Feel free to comment on the above list. Want to take a shot at listing the top 10 teams? You may post using the anonymous button but you will have to identify yourself. What do you think is the toughest standard for 2011? interactive features that enables XCStats to be a team’s web site and, in the Spring, we’re doing track! of the reports is improvement, not speed, so every runner’s achievements are highlighted. spent on stats and communications, so now we’re helping to minimize the administrative burden! see their list of uncompleted tasks. No excuses for missing a deadline! whole community. And there’s virtually no maintenance. to write me with questions at mike@xcstats.com. As always, last but definitely not least, my last pre-season predictions will cover Division IV. The collection of teams in this division remains very similar to last year except for one notable exception on the boys side. The San Francisco University boys will be taking their act to Division IV this year due to a new NCS by-law that frowns upon dynasties (i.e you win 3 section titles in a row and up you go to the next division). University won 11 of the last 13 (last 3 in a row) NCS titles in Division V. According to the former dyestatcal website, UHS would have been the pre-season #1 team in the state in Div. V.
When it comes to the king of the hill in this division, St. Mary's College has been the team to beat the past four years. They won NCS in 2006, 2007, 2009 and in 2008, they lost to Tamalpais by a point (68 to 69). This season, their road to another NCS title will be a little more difficult as they graduate their top 3 runners from last year which includes Dan Maxwell who finished 2nd in NCS and 3rd at the state meet. They do return runners 4-7 (Nate Hill, Stevie Greene, Duncan Calvert and Matt Dull) so before people start to disregard St. Mary's completely, history proves otherwise. At this point, it looks like a three horse race. 2nd place finisher last year San Rafael, 3rd place finisher Tamalpais and University all return strong teams and I believe one of those teams will win the Division IV crown this season. If you just look at the team times from last year, does it get any closer than this? San Rafael returns their top 4 runners from last year's NCS MOC race (Trevor Ehlenbach 1:57.20, 4:30.62 and 10:13.95, Cameron Bronstein, Jack Killion-10:26.35 and Wes Curtis). Their 7th man at the same meet, Dylan Harris ran 4:26.46 and 9:51.83 this past track season. Tamalpais returns everybody from last year's team which includes the best runner at the Division IV level in the state of California, Daniel Milechman. 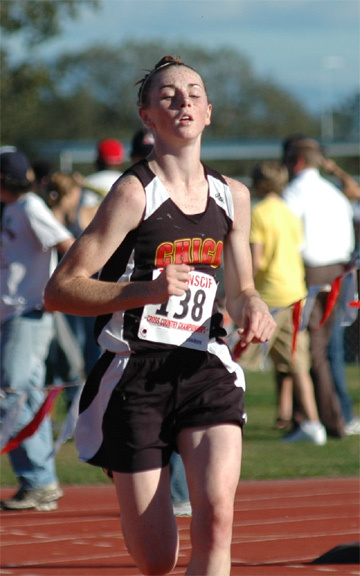 He won NCS last year running 15:07. He then won the Div. IV state title the following week running 15:37. He focused on the 1600 during track and ran 4:18.40 and qualified for the state meet for the 2nd year in a row in the event. Runners 2-5 (David Fuchs, Ned Byrnes, James MacDonald and Alex Olson) will need to close the gap a bit with their front running teammate if they are to have any shot at the title. Despite competing at the Division IV level for the first time since the inception of the Division V in 1996, University is well armed to do well here. Following the graduation of most of their section championship team in 2008, UHS won last year's NCS title with junior Ned Tannenbaum and four freshmen. Without the benefit of research, you would think that is the first time in NCS history that a boys team won a xc section title with 4 freshmen in their top 5. Here is the list with the top freshmen at the NCS meet last year. 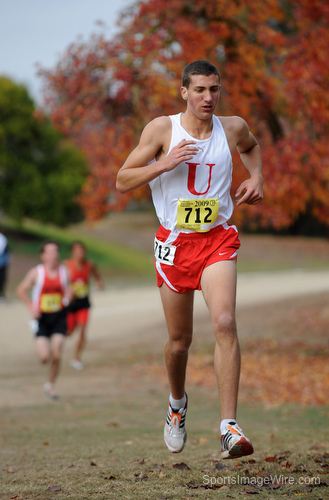 Tannenbaum had a great '09 cross country season, finishing 3rd at NCS and 12th at the state meet. He just missed qualifying for the state meet in track with his 5th place finish in the 1600 running 4:23.10. Most of the individual contenders on the boys side have already been mentioned. The hands down favorite will be the defending champion, Milechman of Tamalpais. His credentials speak for themselves. The battle will be for 2nd place and contenders will be Ehlenbach of San Rafael, Tannenbaum of University, Bronstein of San Rafael, Tyler Coley of McKinleyville and Connor Clark of University. Daniel Maxwell of St. Mary's gave Milechman a pretty good run over the past two seasons but we'll have to see what the margin of victory will be this year. One runner to watch out for is sophomore John Lawson of Drake. 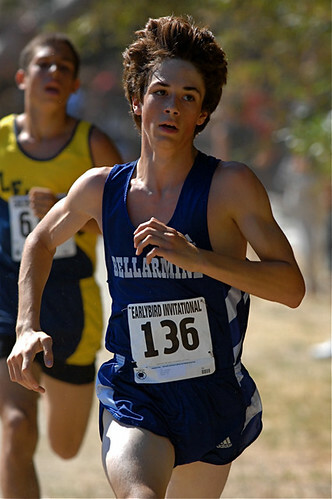 He finished in 15th place last year as a frosh and just recently finished 9th overall in 100th annual Dipsea race. The girls' defending team champion, Dougherty Valley, moves up to Division III this year leaving the favorite's mantle to Sir Francis Drake. The 2nd place finishers last year, Drake returns their top 5 their veteran coach Bill Taylor who has coached many talented runners. Their front runner for the 3rd straight year should be junior, Ellie Ryan. Drake's main competition should come from fellow MCAL team, Tamalpais. They finished in 5th place last year but do return 6 out of their top 7 as well as some newcomers this season. The rest of the teams will include some of the usual suspects in this division. Moreau Catholic should rebound from their 7th place finish last year returning one of the best runners in this division, Anika Adeni. 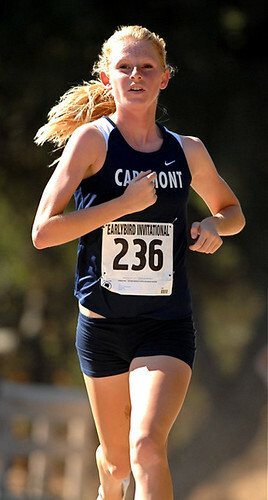 Piedmont was 4th here last year but will have one of their main guns back to lead the way in junior Nicole Peterson. It's hard to count St. Mary's out considering their recent success (2006-3rd, 2007-1st, 2008-1st and 2009-3rd) but they will have to replace their top 5 runners from last year. One of the state best runners, Theresa Devine of Marin Catholic will now be taking her running talents to Princeton University next year. She won the last two section titles in this division as well as a 5th place state meet finish in 2008 and a 2nd place finish last year. The favorites for the individual title this year will be Adeni of Moreau who finished in 3rd place last year in 19:13, Nicole Lane of El Molino-19:24 in 4th place, Peterson of Piedmont-19:34 for 6th place and Ryan of Drake-19:35 in 7th place. 1) San Franciso University-Yes, they are this good. 2) San Rafael-'06-5th, '07-3rd, '08-3rd, '09-2nd, '10-? 3) Tamalpais-Everybody is back for this team. 4) St. Mary's Berkeley-Could break into top 3. 5) Sir Francis Drake-Bill Taylor's 28th year at the helm of the boys. 1) Sir Francis Drake-Looking to improve it's 2nd place finish from last year. 2) Tamalpais-Will get many opportunities to race Drake. 3) Moreau Catholic-Might have best runner in this division (Adeni). 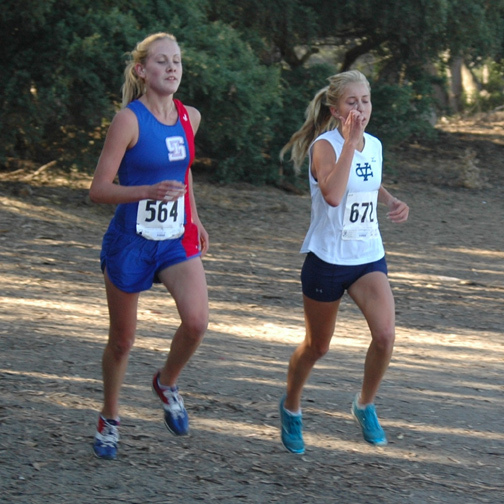 4) St. Mary's Berkeley-Will need some freshman help to make state meet. 5) Piedmont-6 out of 7 are back after 2nd place finish last year. Let me know your thoughts. Did I miss anybody? Who is looking good this summer? Any freshmen that will have an impact in this division? Norcal rankings will be up next. J.O. Results from Modesto J.C.
You will have to scroll down the long list of results but you can find many of the current high school runners as well as some of the rising stars that will be running in high school in the near future. Feel free to point out a few runners that ran well at this meet. Last of the NCS rankings...Division IV (boys and girls). Individual Rankings for boys and girls in NCS. The most competitive division at the state level for NCS takes a couple of hits on the boys' side and gains a state meet berth on the girls' side. With the controversial passing of the following policy, the University boys (11 time champions) will now compete in Division IV this coming season (possibly beyond 2010 as well if they keep winning). Any school who participates in the NCS Championship contest, finishing first in the respective classification or division, for three years in succession will automatically be moved to the next higher classification or division the following school year of competition. The school may return to the actual classification or division of enrollment after at least one year of competition at the higher classification or division once the school does not participate in the NCS Championship contest, finishing first. Now, the section that had 4 teams in the top 10 at the state meet in 2007/2008 and 2 in the top 10 in 2009 will be hard pressed to place one team into the top 10 this coming season. As stated above, UHS will now reside in Division IV and Redwood Christian (the other top 10 team) is decimated by graduation. In the history of Division V, which dates back to 1996, only four teams have won a team championship (University-11, College Prep-1, St. Joseph-1 and St. Mary's-1). It now appears a fifth team will join that list. The question now is who will it be? At this point of the year, it appears that the Urban School of SF has the best chance to claim their first section title. They return the best runner in this division, Cole Williams, who emerged during the Track and Field season by qualifying for the state meet in the 800m. running 1:54.01. His teammates, fellow senior Sean Judkins-Boeri, finished in 9th place with a solid 16:28 time at Hayward HS and 3rd man Alex Wu (17:18 also at Hayward) gives them a solid top 3. Chasing Urban will be another San Francisco school, last year's 3rd place finishers, Stuart Hall. They return 5 out of their top 7 from last year's team that qualified to the state meet (first time in the 10th year existence of their school). St. Joseph's of Alameda has bounced back and forth between IV and V in the past few years but when they have been in this division, they have been competitive and usually qualified for the state meet. The rest of the challengers will be the usual array of BCL teams which includes College Prep, Lick Wilmerding and Marin Academy. The battle for the individual title starts and ends with Williams of Urban. 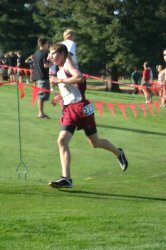 Along with his track and field accolades, Cole finished in 2nd place last year at the NCS MOC cross country meet. His chief rival, Ned Tannenbuam of UHS, who finished 3rd and 7 seconds behind Cole will be racing in Division IV. That leaves his teammate Judkins-Boeri and Ben Liu of Stuart Hall as his closest pursuers and it's not close at this point. Unlike the boys, the girls' race at NCS will field some of the heavy hitters at the state level. Last year's NCS final was an epic battle between the University and College Prep girls that resulted in a 43 to 44 UHS victory. UHS went on to record their 7th state title with CPS also claiming a podium spot by finishing in 3rd place. This year's race should yield another great race between the two teams and it's really difficult to pick a winner. University has the best 1-2 punch in state with Jennie Callan and Holland Reynolds. College Prep has their own dynamic duo with Kai Wilson and Adrienne Strait. Both teams will need to find a replacement for their consistent 3rd runners (Margaret Wehner for UHS and Emily Erickson for CPS). The next two teams in line will be BCL West competitors Marin Academy and Lick Wilmerding. Marin outdistanced Lick at NCS but Lick reversed that order at the state meet with a 5th place finish to Marin's 7th place. Marin has the defending section and state champion in Lucy McCullough with Lick returning a strong trio of juniors (Rachel Prensky-Pomeranz, Lucia Calthorpe and Sara Peletz). Missing the state meet by one spot was Sonoma Academy last year but with NCS getting 5 teams to state this year, the young Sonoma team could make their first trip to the state meet under the tutelage of former Maria Carrillo coach Dan Aldridge. The individual race should be just as competitive as the team race. Although McCullough is the 3 time defending section champion, Callan seems to have closed the gap with a spectacular freshman season around the oval running 5:02.50 at the NCS MOC 1600 final. Her teammate Holland Reynolds finished 2nd at NCS last year and recorded one of the fastest times on the Crystal Springs course last year with an 18:11.5 clocking. CPS teammates Strait and Wilson are also in the mix as is last year's 5th place finisher, Kate Courtney of Branson. 1) Urban-Could this be their first section title? 2) Stuart Hall-Ben Liu leads the way here. 3) St. Joseph Notre Dame-Secured last state meet berth last year. Higher up this year. 4) College Prep-A consistent contender in this division. 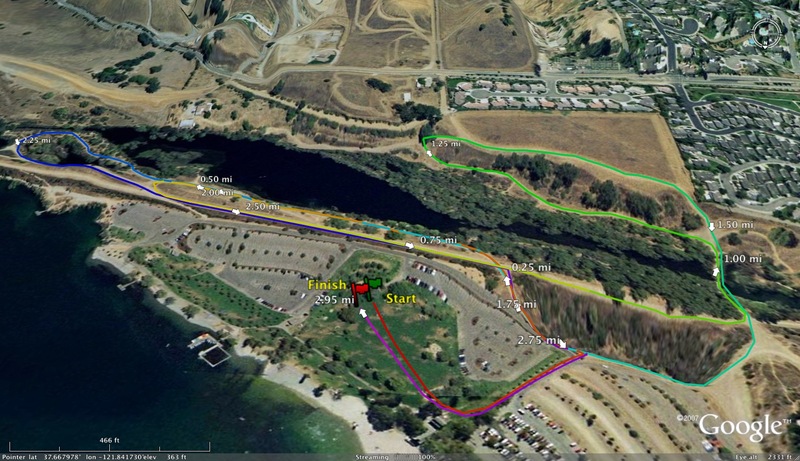 5) Lick Wilmerding-Will need to show improvement to hold this spot. 1) University-In position to reclaim the NCS crown. 3) Lick Wilmerding-Good group returns from last year. 4) Marin Academy-Defending NCS champions. 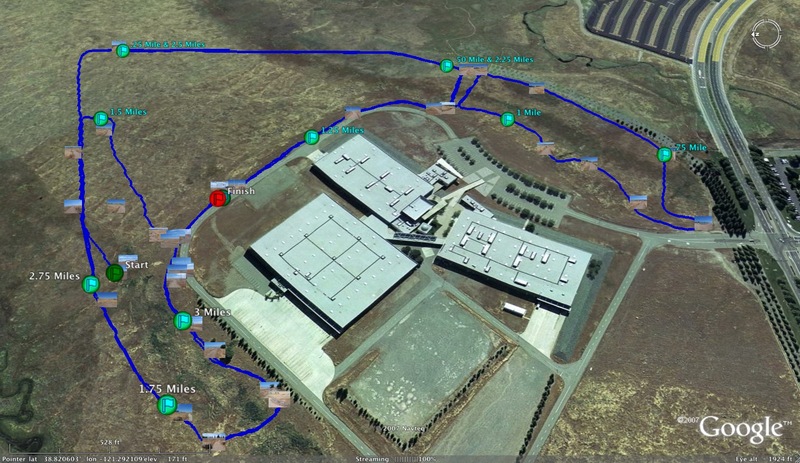 5) Sonoma Academy-First state meet team appearance on the horizon? Eugene had long been a place that was a fragment of my imagination. I saw bits and pieces of the town in Without Limits and heard the stories of those who attended the '08 Olympic Trials of regularly bumping into elite athletes while on a morning stroll on Pre's Trail. For years I've drooled over the Hayward Field track meets I've witnessed on TV and admired the phenominal enthusiasm of the crowd. Last weekend, Eugene became a reality as I made by first visit to Tracktown USA for the Prefontaine Classic. And from the moment we drove across the Coburg Road bridge, just like Pre did to enter town, it definitely lived up to my expectations. Unlike any other town, Eugene is invested in running. Its multitude of wood-chipped trails are the best I've seen in a city. Just on my one run on Amazon and Pre's trails, I bumped into Vin Lananna in his car, 5k Olympian and current OTC athlete Ian Dobson walking his dog, and the essentric Gabe Jennings taking a barefoot stroll near Amazon Park, plus talking to coach Brad Hudson in the snack aisle at Safeway. The meet atmosphere at Hayward was unlike anything I've seen before, even having attended track and field events at the Beijing Olympics. The massive Bird Nest Stadium was superior in size, but could not make up for the tremendous knowledge of the Eugene crowd. Seemingly every one of the high school athletes particpating in the Nike Track Nationals event on the eve of the big meet expressed their awe and excitment for competing at such a historic location. The Pre Classic the next day exemplified everything I expected of Oregon track and field. The 12,834 in attendence, which was the meet's 15th consecutive sellout, cheered loud and hard for every athlete, especially for those with Oregon ties. The crowd roared when AJ Acosta made his massive surge to place second in the International Mile and when double NCAA champ Andrew Wheating was announced to the Hayward fans for the final time in a Duck jersey. The signature rhythmic clap was present in all the distance races and helped spur such great performances as Takiru Bekele's first sub-13 minute 5k on U.S. soil and Phoebe Wright's breakthrough race that resulted in a massive PR in the women's 800. Additionally, the fans were awed by Walter Dix's upset of Tyson Gay in the 200 and David Oliver's blazing 110 hurdles race that tied the American Record of 12.90. The weekend made me realize that the passion of the people of Eugene is truly what makes it Tracktown USA. America is a place where it is common to find football or baseball fans on the street, but not track fans. Speaking with a gentleman at the NTN meet, I found that he was one of many individuals who not only went to the meets, but actually were track fans and knew and followed the sport just like I did. This was a welcome suprise to someone accustomed to having to explain to the ordinary person how the steeplechase works or to guess how many javelin-related deaths have ever taken place. This exordinary experience has left me wanting more. I hope I will have the opportunity to return in two years for the 2012 Olympic Trials in Eugene, Oregon: Tracktown USA. Crystal Springs Uplands School (CCS) - is seeking an assistant cross country coach for the upcoming 2010 season. Applicant needs to be available during the season from late August through the state meet on November, 27th. Full coaching stipend is available. CSUS is located on the border of the city of San Mateo in Hillsborough. Season schedule and team website can be found at www.eteamz.com/csuxc. If interested, please contact athletic director Michael Flynn at mflynn@csus.org or call (650) 375-5424. Feel free to contact me personally at albertjcaruana@gmail.com if you have any questions. Feel free to comment on above list. Did I miss anybody? Should anybody be dropped/raised? If you would like to post your own list...go for it.